For Greenfield dental patients, we know there are many options when it comes to choosing a dentist. However, you don’t want to choose just any dentist. The goal should be to find the best Greenfield dentist to offer you and your family dentistry services to keep your smiles healthy. Even more importantly, you have to find a dental office where you’ll feel comfortable and relaxed. In fact, research shows that patients who have positive relationships with their dentists and dentistry team are more likely to maintain their regular dental office appointments and keep their smiles healthy for life. 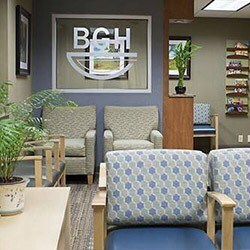 At BGH Dental, we have a team of dental experts who go the extra mile to offer patients an exceptional dentistry experience in our state-of-the-art dental practice. We invite you to call our office to find out more or schedule an appointment with our skilled dentists and dentistry team at BGH Dental in Greenfield. We have a team of five skilled dentists who can help you with all of your dental care needs. Dr. Hrinda is a dedicated general and family dentist with years of experience helping patients achieve their healthiest smiles. He has served generations of Greenfield families at BGH Dental, and he looks forward to serving many more. Dr. Bagley has more than two decades of dentistry experience, and she loves working with patients to maintain healthy, happy smiles and keep them for a lifetime. Dr. Woodlock brings more than thirty years of experience to our office, and her kindness and enthusiasm are contagious for patients and her coworkers alike. If you ever experience a dental emergency, we are happy to help you with same day urgent care appointment to relieve pain and start renewing your oral health right away. For your convenience, we are happy to offer a number of amenities to make visiting our office relaxing and comfortable. We have warm blankets available if the office is a little colder than you like. You can drown out the sounds of the dental office with a set of headphones, and heated neck pillows will put you right at ease. Our goal is always to help patients achieve and maintain complete comfort and optimal oral health. We know how important it is for our patients to keep the cost of their family’s dental care inside their budgets. That’s why we’re happy to process and file dental insurance claims to help you offset the costs of your necessary preventive and restorative dentistry services. 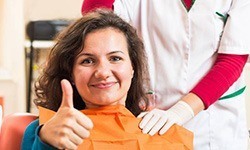 If you don’t have traditional dental insurance coverage, that’s no problem. We have you covered too. Ask about our Quality Dental Plan. This in-office dental savings plan allows patients to receive all of their necessary preventive dental care as well as discounts on other services for one low annual fee. Want to split the cost of treatment up over the course of several months? 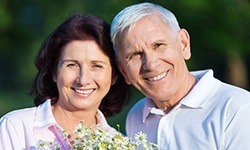 We are happy to work with CareCredit to provide low and no interest payment plans.